Time to expand the family? 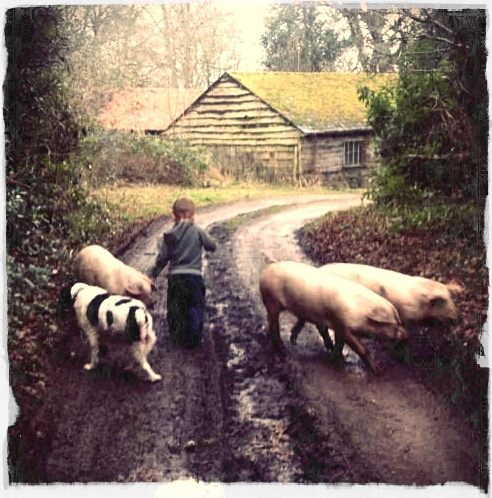 I hope that you like the gratuitous shot of Wil herding or pigs, which are long gone for sausages I’m afraid. The pigs, not Wil. He’s a keeper. The picture is supposed to represent the amazing life that we have to offer a child, in our opinion. It had come to the time that we were starting to think about expanding our family, with kids, not pigs. 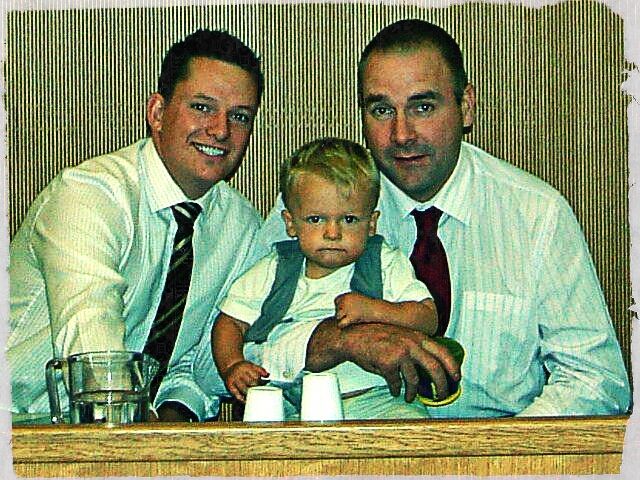 We loved being Dads, and Wil was going from strength to strength. He had really cemented us together as a family and though it had been a tough start with the press intrusion, we were ready to do it all again! Ivan and I are both from large families. By that I mean the amount of siblings, not how big we are! Ever since being a parent had not only become an option to us, but a reality, we knew that we wanted more than one kid, before it would be complete. When Wil was a little over a year old, we started to take steps to expand our family. My sister Lorna had been amazing in giving us the gift of a son, in Wil. But we had always known it was a one time offer. We considered kidnapping her and making her watch re-runs of Sister Act, until she agreed to provide us with another child, but figured that such a level of torture was unfair. And besides, to have been given the opportunity once was as much of a gift as anyone could ask. The first time had been so simple and so fuelled by love and trust, that we knew that it wasn’t something that could be forced. We also knew that if Lorna could, she would in an instant, despite her initial ‘one time offer’ statement. It was only a change in her circumstances that meant she wasn’t in a position to do it again. We considered looking for another surrogate, but decided that if it wasn’t going to be Lorna, then that wasn’t the route for us. For as much as we loved the idea of another baby from birth, we also loved the idea of adopting a child equally as much. The thought of adoption appealed on so many levels. We knew that we could parent. We knew that we had a lovely home to offer a child. We knew that Wil would get a lot out of a sibling. But not only that. We knew, from our roles as Police Officers, that there are so many children out there that desperately needed a family that can care for them. We truly felt that we had the life-experience, the love, the understanding, and the time to offer a child the best start they could need. 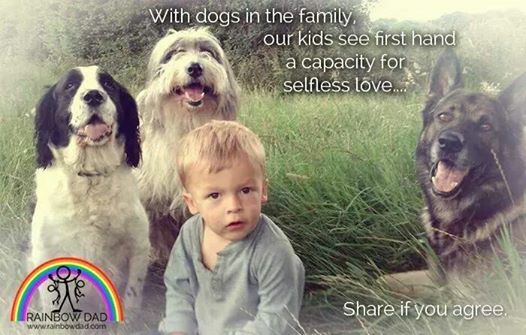 It certainly wasn’t a selfless act, driving it forward was our desire to expand our family. But if we could do this, and help a child that needed it? That’s pretty exciting stuff! In terms of timing, it felt right to us too. We were recently married. Wil was still a baby. The idea of having children, close in age, absolutely appealed. I love babies, but they are hard work. Even when they’re as easy as Wil. They require time, and attention, 100% of the time. And I don’t always want it to be about the kids. I love being a Dad, and it’s at the forefront of my life. But equally I need some me time, and some Ivan time. I want that highly dependent stage to be out of the way ASAP! I want there to be some me, and some us time, outside of the ever so important kid time, and family time too. And I wanted it to be while we are still young enough to enjoy it! Of course there were also practical reasons. I was close in age to my siblings, and I loved that we played together, and wanted to do the same sorts of things. We could share rooms and clothes and toys. For me and Ivan, It didn’t make sense for us to wait. After some in depth research and recommendations, we approached Bournemouth adoption agaency, who were hands down our first choice. I rang up, full of excitement, and booked us onto the next available information evening. We turned up on the evening, full of nerves and trepidation. I scanned the rest of the room. There were about 10 couples there. Old couples, young couples, black couples, asian couples. It was a positive melting pot of diversity. With us there as the gay couple I think that every box was ticked that evening! It was great to see. What else was great to see was that we weren’t overdressed! Most of my afternoon had been spent concerned that I wasn’t going for the right look! But I need not have worried. The beginning of the evening gave us a chance to mingle Everyone was clearly as nervous and unsure about what to expect as we were. We made sure to push ourselves forward and chat to the other couples. The nerves showed themselves in the badly timed laughter, and the stilted conversation at the start. But it didn’t take long for people to realise, as diverse a bunch as we were, that we were all in the same boat. We began to relax and start to chat properly. The information passed that evening was brilliant! We had a power point presentation, which introduced the agency and the background of adoption. We heard from the adoption team, from people that had adopted, and also people that had been adopted. There was also plenty of time to ask questions, to make sure that we had all the information we needed to make a decision as to whether we moved forward down the adoption route or not. After all, they didn’t sugar coat things. We knew it would be a tough journey. A journey that wouldn’t be for everyone. Looking at Ivan though, I knew that he thought, as I did, that it was a journey for us. With a smile on our face, we filled in the form saying that we wanted to proceed. Yes! Yes, we wanted to proceed. We wanted to be Daddies again! We have so much to offer; love, laughter, stability, a home. The evening had well and truly inspired us. Excited us! We wanted to get started, we wanted it to happen now. We signed the form and thanked them. Then we left and eagerly awaited the call to start the journey. But you know what they say about want. Little were we to know how hard reality would hit soon, and just how gutted we’d be…. We had an absolutely stunning afternoon in the New Forest. With a combined run, ride, walk, push we made it to the pub, where we had burger and chips. Great time, with a great friend who also has two adopted children. Funniest moment when Herbie the pony decided he wanted to trot home, with his little rider on board. Far from being scared, she loved it. I’m sure it was only last week I was changing his nappies! Foofoo the little red tractor. The two older boys are helping Daddy Ivan mend our little red ‘tractor’, fondly named Foofoo. I’m glad they take after Ivan with regards to mechanics, I haven’t a clue! Me? I just want to paint her purple with silver lightening bolts down the side. And maybe fit a stereo! !